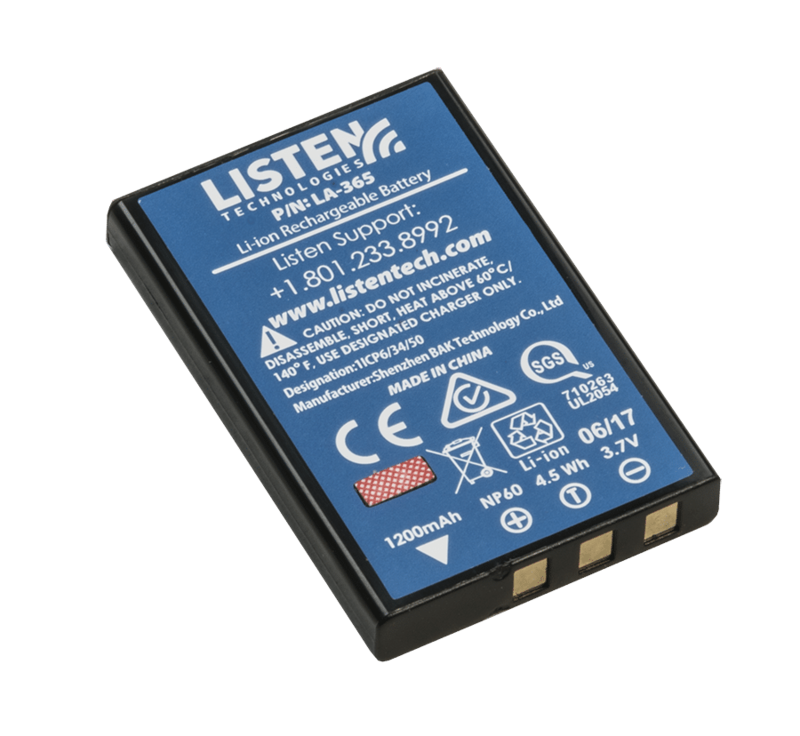 Long-lasting Lithium-ion rechargeable battery for use with many of Listen’s portable products. 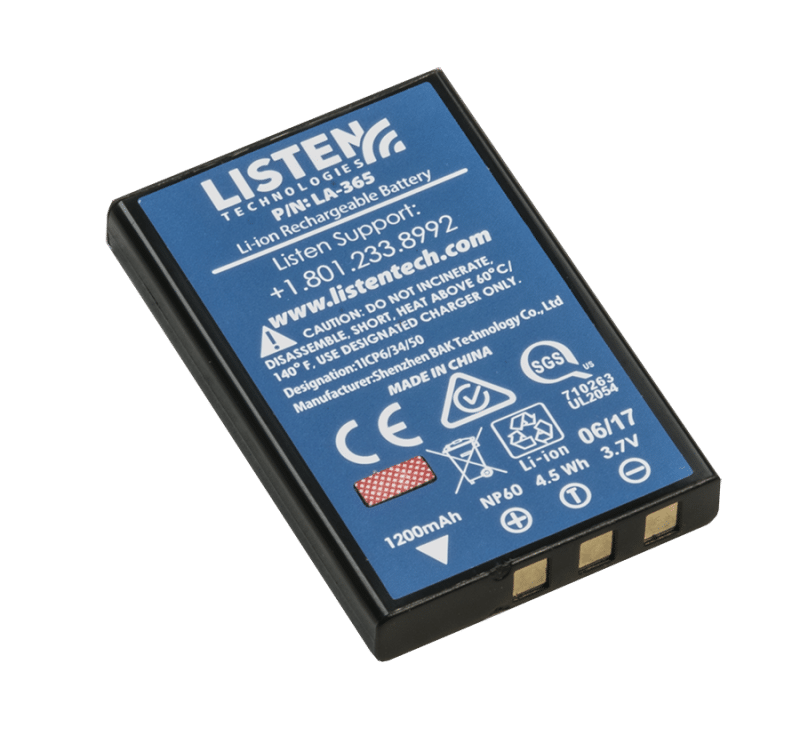 Listen Technologies’ LA-365 Rechargeable Lithium-ion Battery offers a combination of extended charge life and quick charging. Consistent, reliable, and long-lasting power make the battery a cost-effective choice while reducing the expense and environmental costs associated with frequent alkaline replacement. Q Can I charge spare batteries? A Unfortunately you cannot, but with the short charging time you can charge up the battery within one (1) to two (2) hours. Q Are these proprietary batteries or can I buy them anywhere? A You can buy this style of Li-ion battery at your local Radio Shack, it is not proprietary to our product. Q How long does it take to fully charge? A 2.5 hours or less. Q How long will a fully charged battery last?